JoyJ’s Blessed Sacrament chapter hosted another successful outreach in late January! Sixty-seven volunteers of all ages (from 4 years old to 80!) 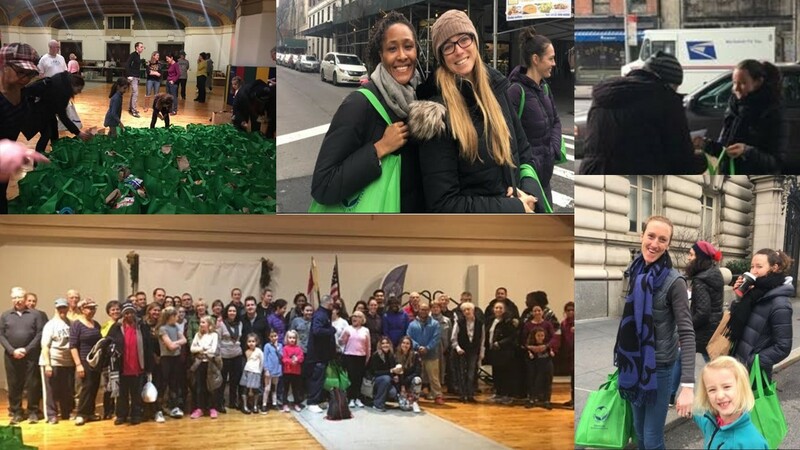 distributed 120 bags throughout NYC. They distributed critical supplies that are very difficult for the homeless to procure, including sweatshirts, warm hats, gloves, scarves, and hand warmers. Can you imagine not making it into a shelter during the winter and trying to SURVIVE on the streets without these items?